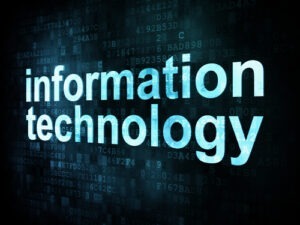 Information technology concept. Photo courtesy of Shutterstock. Cisco Certified Network Associate certification (CCNA) is considered to be one of the most well-regarded associate-level certification credentials in the information technology arena. Obtaining the CCNA adds to the appeal of candidates, especially for small and mid-sized companies that may be unable to meet the salary demands of candidates holding Cisco Certified Internetwork Expert (CCIE) accreditation. The CCNA also provides a solid foundation for the more advanced Cisco Certified Network Professional (CCNP) certificate. As the first tier of Cisco network certification, the CCNA is designed to evaluate how well candidates have mastered basic knowledge of Cisco equipment. However, this doesn’t mean that the examination is easy. In fact, authorized Cisco CCNA certification courses schedule ten days of classroom time through certification preparation programs, not to mention all the time required for independent study. In fact, if you hope to have any chance of passing this rigorous examination, you should prepare yourself for a study and preparation marathon, rather than a cram course sprint. Preparing for the CCNA examination requires a certain degree of mental toughness, along with a willingness to make short-term sacrifices. Commit yourself to a curtailed social and television schedule for the next three to six months. If you are working, you may have to extend your work day into the evening, impress upon your friends and your family that you will be scarce for the next few months, but that you can all celebrate once you have passed the exam and have the CCNA certification in hand. This does not mean that you will have to do nothing but study and sleep, but it does mean that you will probably eat, sleep and dream the CCNA for the immediate future. In-class instruction, practice examinations and other materials represent a significant financial investment. If you are not one of the lucky candidates with employers willing to foot the bill, you may wonder if the financial outlay is worthwhile. If you can possibly afford it, the answer is “yes.” Perhaps you can borrow the money from a credit union or from a friend. However, you should not resort to an expensive payday loan or drain your retirement fund simply to cover the costs of paying for CCNA certification training. Instead, inquire about financing plans that may be offered by organizations offering preparation courses, consider online study or concentrate on self-study if you cannot afford in-person classroom instruction. Do not allow the expense of CCNA instruction to deter you from attempting to obtain this versatile credential. If you have decided to pursue CCNA certification, take the saying “in for a penny, in for a pound” to heart. You will need to commit yourself to taking a deep dive into the material. One reason the CCNA examination is so demanding is that there is so much to learn. Like every area of information technology, innovations for networking systems, including Cisco systems, move very quickly. As a result, the CCNA examination that you must pass today is more demanding than the exam from even a few years ago. To compound the situation, since proper preparation for the CCNA exam requires so much time, you will need to schedule even more time to make up for what you’ve forgotten at the beginning of the process. It is inevitable that over the course of several months that the material that you mastered during week one or month one will have faded by the time you’ve logged month five or six. Reviewing summaries of earlier material every week can help mitigate this phenomenon to a certain extent. Once your study for the CCNA exam is well underway, schedule a date to take the examination. The schedule date should not be too far in advance; otherwise you may be tempted to slack off. Once you have scheduled the exam, dive back into your studies. Continue with your study plan until approximately ten days before your scheduled exam date, and then switch to a Q and A approach that will allow you to review materials that you studied earlier in the examination preparation process.